Automatonophobia (also called automophobia) is the fear of objects that represent sentient beings (e.g., dolls, robots, etc.). Patients who suffer from this psychological condition are unwilling to relate to figurines that represent 'mirror images' of real life or real people. There are many dolls/figurines in popular culture/history that symbolize humanity's fascination with creating images/sculptures of life/people: the Statue of Liberty, RoboCop, Barbie, and Frankenstein are but a few. 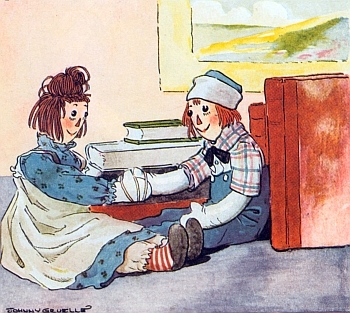 Dolls are popular with children (especially young girls), since they capture the imagination about 'fake life' or 'synthetic playspaces' (e.g., dollhouses). People suffering from automatonophobia may express extreme antagonism towards dollhouses, robot sci-fi stories, or even the Statue of Liberty. They may also exhibit signs of necrophobia and insist that a given doll may be haunted or evil or somehow signifying a dead corpse. Treatment for this condition may require encouraging the patient to draw or understand how a doll/figurine could represent a safe playspace rather than an ominous totem. It is interesting to note that treatment for automatonophobia could involve reorienting one's consciousness about sculptures, which partially suggests that totems/Golems of 'geometric form' signify a specific focus on mirror images (or reflections). Automatonophobia is a very symbolic mental ailment for the modern world, which is wrapped up in social talk about Artificial Intelligence, Internet chat-room aliases (or 'avatars'), and prosthetics. The American comic book superhero Batman (DC Comics), a brooding masked urban vigilante who tackles criminally insane ghouls (in a fictional place called Gotham City) such as Two-Face and Poison Ivy, incarcerates his nemeses in a place called Arkham Asylum. When we go to a haunted house at an amusement park, we feel the thrill of 'fake fears' which seem like real fears (since haunted houses are made to seem real and parallel 'sane fears'). Haunted houses are popular objects/establishments at amusement parks, Halloween festivals, and horror films. Arkham Asylum is like the 'haunted house' of Batman (DC Comics) storyboards. Batman places criminally insane super-villains there for them to brood about the nature of their crimes safely (and sanely). Why would comic book artists want to focus on the virtual reality playspace construction of a 'haunted house' such as Arkham Asylum? Such a question gets to our analysis of Automatonophobia, since it invites to explore 'associative thinking' and 'dimensional realities.' Patients who suffer from this unusual condition may not feel comfortable playing with a dollhouse or going to a Halloween haunted house or reading about Arkham Asylum in Batman (DC Comics) storyboards. If you know of other examples/models of 'virtual reality psychotherapy dioramas,' let me know! HARLEY QUINN: Why is a vigilante like you interested in my rehab? BATMAN: Harley, I care about the safety of everyone. HARLEY QUINN: Arkham Asylum is not as secure as we think. BATMAN: Arkham is meant to be a safe-house for your private rehab. HARLEY QUINN: I'm a killer, Batman. BATMAN: These walls will make you feel warmer. HARLEY QUINN: They better give us great food. BATMAN: There are hygienic facilities. TWO-FACE: I don't want to talk to you, Batman! BATMAN: You don't have to hurry. TWO-FACE: I don't have to do anything. BATMAN: You don't want to languish in here, Two-Face. BATMAN: Arkham will make you feel more self-aware, Harvey. BATMAN: No it doesn't; your cynicism is generating nightmares. SCARECROW: I suppose they'll give us Lithium/Klonopin. BATMAN: Whatever you need; Arkham is a safehouse. SCARECROW: I feel like a puppet. BATMAN: You should feel like a statue. SCARECROW: I wish I was the only inmate. BATMAN: The others won't disturb you, Scarecrow. 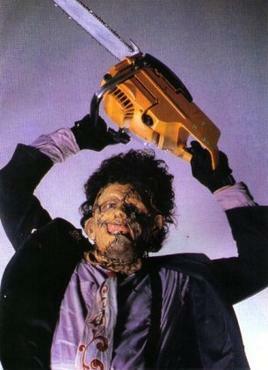 BATMAN: Why do you wield a chainsaw, Leatherface? BATMAN: You don't have to be dramatic. BATMAN: I'll make sure you have adequate lighting in your cell. BATMAN: No alcohol; only medicine! Many of us are familiar with the field of developmental psychology, which looks at how stages in the growth of a person reflect distinct shifts (or changes) in psychological condition(s). An infant, for example, is much more curious about abstract concept formation than a teenager who is much more focused about socialization norms. We are also familiar with the study of 'psycho-sociology' which 'blends' the fields of psychology (the study of the constructive mind) and sociology (the study of constructive culture and/or governance). Psycho-sociology students/scholars might investigate, for example, the role that history plays in the mental attitudes of citizens in a particular situation --- "How does the lesson of the Boston Tea Party (an incident in American history exemplifying a unique American attitude towards democratic governance criticism) affect modern-day American's social and cognitive views on the 'experience' of voting during election season?" However, a 'distinct' or 'special' field that investigates 'developmental sociology' (or how constructive 'stages' in the formation or evolution of a nation are imprinted in the social norms of modern-day activities) is approached generally as Development Sociology (Cornell) or development theory. Development Sociology/Theory can be referenced in an analysis of how Automatonophobia is imprinted in the constructive 'phases' of the development of tools and technology in a given civilization/society. For example, when America (a land of many cultures and races) was working with the cotton gin, the printing press, and various farm-tools such as a rake and hand-cultivator, how were social fears (relevant to automatonophobia) imprinted in folk ghost stories about scarecrows, and how are these ghost-stories 'lingering' in our present day of 'computerized farming/production/manufacturing' (e.g., The Terminator)? In other words, we can create a timeline (sociologically) of the 'history of automatonophobia' and thereby find something interesting about the 'development' of folk attitudes towards tech-Golems (e.g., scarecrows and robots). By doing so, we may even be able to arrive at the development in 'stylistics' of ghost stories (and horror films!). For example, what automatonophobia fears are reflected in (older) social image derangement films such as The Wolf Man (a horror-film about a werewolf) as compared to (newer) derangement films such as The Texas Chainsaw Massacre (a horror-film about Leatherface)? Some of this kind of analysis can yield evocative discussions about 'socialization mannerisms' and even humor. PSYCHIATRIST: Do you wield that chainsaw as an 'eco-terrorist'? PSYCHIATRIST: Are you against modern-day consumerism? PSYCHIATRIST: Do you feel that chainsaws stray us from nature? PSYCHIATRIST: When you were young, did you yearn for 'nature-toys'?